Goal: Implement efficient email marketing campaigns employing best practices; elicit high recipient response; improve customer retention and policy renewal. 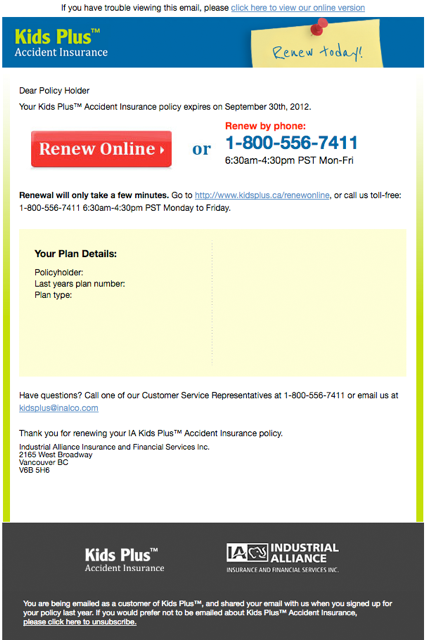 Target Audience: Insurance policy holders. Scope: Integrate due diligence in areas of spam legislation and permissions; current brand transfer to email campaigns; launch codes and templates. Results: Response that exceeded expectations and reduced stress on call centre; effective call to action that increased online registration. Goal: Create minimalist design to highlight diverse project portfolio; implement efficient indexing feature to smoothly handle increased visitor traffic. Target Audience: Residential / commercial developers, school districts, municipal planning consultants. 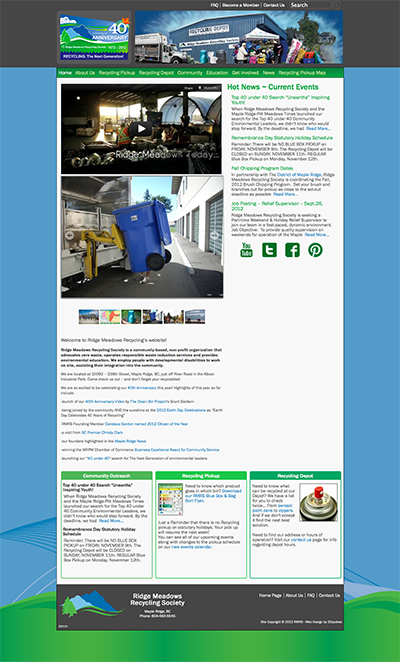 Scope: New design from the ground up; replaced cumbersome Flash interface with flexible, editable content management system. 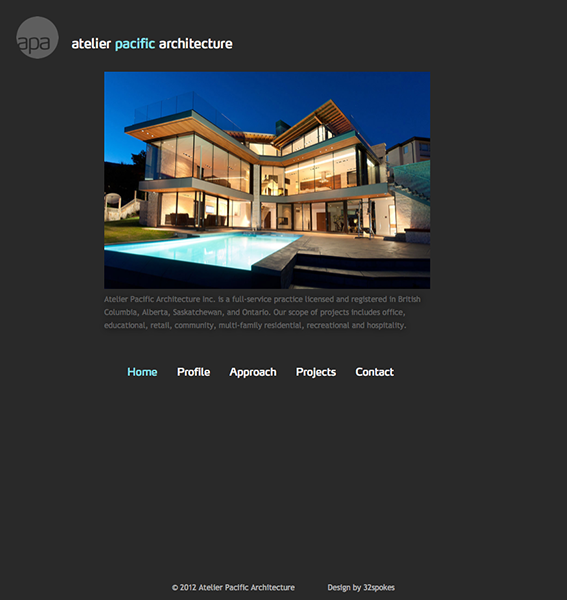 Result: A visually appealing site that allows timely project updates with minimal effort. 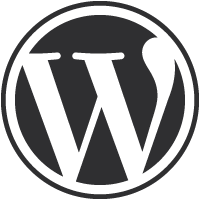 Goal: A succinct website to promote new independent film projects and to archive information about completed films. Target Audience: producers, artists, actors, film buffs, film festival organizers. Scope: Classic design and implementation; project lists and producer profiles; promotion of new projects with integrated trailers that keep viewers in CDP site; staff training on WordPress CMS. Results: An elegant showcase with content that is easily managed by client. 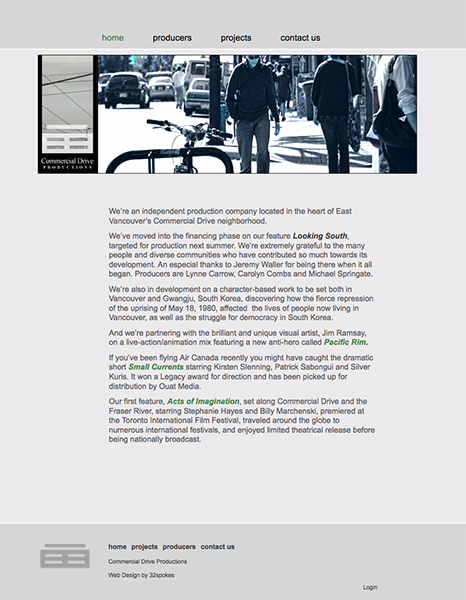 Goal: An online directory of Trail Bay Centre spotlighting a wide variety of professional services and retail stores. Target Audience: Local residents and visiting tourists. 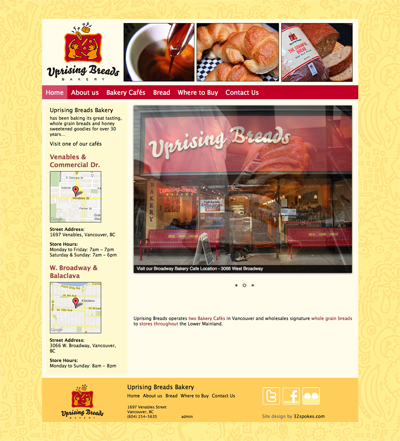 Scope: Design of website, coordinating information from 60+ tenants, photography of all storefronts, and an interactive map. 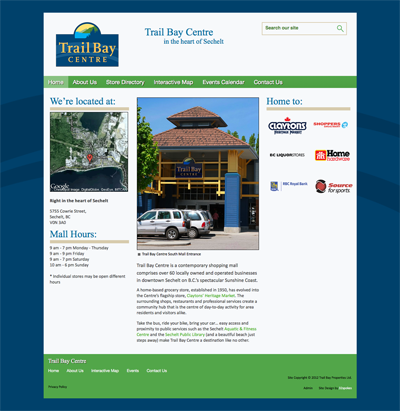 Results: An easy-to-navigate guide to the shops and services of Trail Bay Centre; client maintains updates with ease. Success: Site visitors view more than one page and often return with equal engagement, much like the shopping centre itself. Stats on events postings have shown impressive results. Goal: Improve content management capabilities for RMR staff as well as enhance service to customers seeking recycling resource information. Target audience: Maple Ridge residents. Scope: Convert hundreds of pages of cumbersome information to accessible, well-organized content; facilitate high-functioning internal and external operations through efficient forms. Result: Project development led to creation of colour-coded, interactive pick-up day map, searchable by address.